Look around: glass surrounds us everywhere: Mirrors, windows, lamps, inserts in the doors, decorations and other interior items. Almost all designers at least once used it to design their work, and very much appreciate the properties that it possesses. Thanks to this variety,Unique kaleidoscopes, give their products unique shapes and shapes. Glass always wants to touch, crafts from it fascinate. They are gentle and elegant, it seems that their manufacture requires sharpened craftsmanship. But many crafts made of glass are able to make even a beginner, if you have the patience and do not be afraid of painstaking work. What can be done from this material? Products can be completely different - everything dependsFrom the master's fantasy. They have a certain character: everyday, decorative, aesthetic and others. Glassware made by own hands is nice to give to friends and close people. Apply when decorating glasses, chandeliers and other interior items. But before taking on complex work, it is worthwhile to practice on simpler objects, for example, to decorate the candlestick. Any candlestick is suitable. To the outside, gently glue the coffee beans. You can use PVA glue. Decorate only the bottom, to the middle. The glue should dry well, so leave the product for a while. 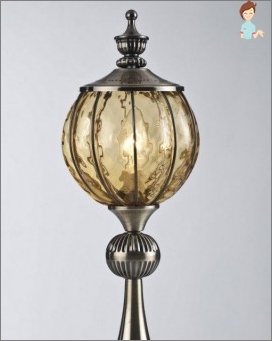 The upper part of the candlestick is painted with paint, you can add gloss with the help of nail polish. Paints from aerosol should be applied with the help of a sponge. Take the fragments from broken glass bottles, better transparent, colorless, and glue on the top of the candlestick. Their shape, location depends on your imagination. It is not recommended to wet such a product. At home, you can make original beautiful pictures. 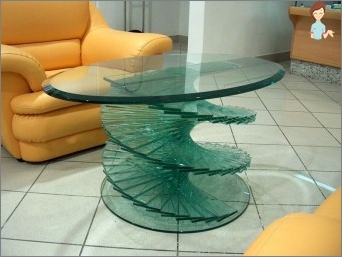 To do this, you need plywood, ready-made drawing and many different pieces of broken glass. You can draw a picture yourself or use templates. Pieces need to be glued tightly to each other so that no lumens remain. Do not touch the glass until the glue is completely dry, so as not to move the pieces. Crafts made of broken glass, made with their own hands, always cause admiration. In this way, you can make any interior items unique: a mirror, a clock, a casket. Pieces of glass are well combined with beads, seashells, sequins, buttons. 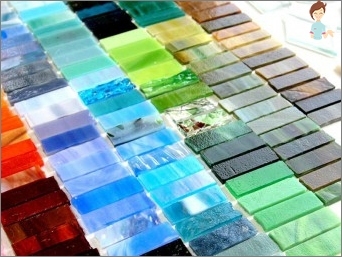 At home, it's pretty simple to doCrafts from glass, because at hand almost always have bottles of different colors. They can be crushed in powder, but it is necessary to observe safety measures - use gloves, deep tank, special stupa, glasses. A brush should be applied to the product with glue, and then- glass powder. When the glue dries a little, it is necessary to cover again. By analogy powder, you can paint pictures, decorate the interior. Many masters do their own handiwork fromOf liquid glass. It can be purchased at construction or hardware stores. 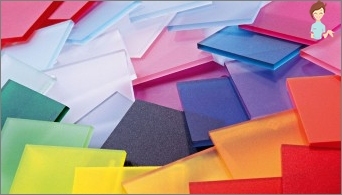 Stationery silicate glue can also be attributed to a variety of liquid glass. Often it is used to simulate the sea. You can decorate any piece of furniture. 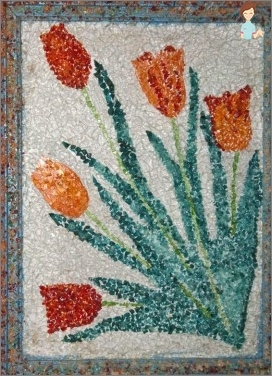 Under the layer of liquid glass, you can put shells, pebbles, beads or sequins. The craft can not be touched until the material has completely solidified. To give the product volume, you can apply the water glass in two layers. Imitation ripples on the water is a toothpick. Connecting fantasy, you can create your own hands beautiful and original crafts made of glass, which will not only decorate the interior, but can be a good gift.